Lent offers us a time to repent, reflect, and return to God. Meditation invites us to do all this by setting aside time to slow down and be with God. If you are looking for more information about Lent or what we mean by “meditation,” check out the introductory recordings. Each Sunday during Lent, a new guided meditation will be released to this page. The guides are designed to prompt you to reflect, breathe, and set your mind on God. Consider using each prompt multiple times a week to build your comfort with this process of meditation. As you walk through Lent, we hope that these guided meditations will help you to engage God’s Spirit and grow in your faith. The peace of Christ be with you. Follow along throughout the month of December with our family Advent calendar for 2018 here. The Scott County Pastors and Priests would like to invite you to the annual Community Thanksgiving Meal on Wednesday, November 21, 6pm-8pm, at the Southern Elementary School cafeteria (1200 Fairfax Way). Once again our church is responsible to provide the stuffing/dressing to serve 500, so if you can help, please drop off yours off at GBC by 3pm on the 21st. Also, if you would like to sign up to help serve, you can sign up for a time slot and job at this link: https://www.signupgenius.com/go/60B0D4AA8AB2EA4FB6-community1. We hope you will join us! 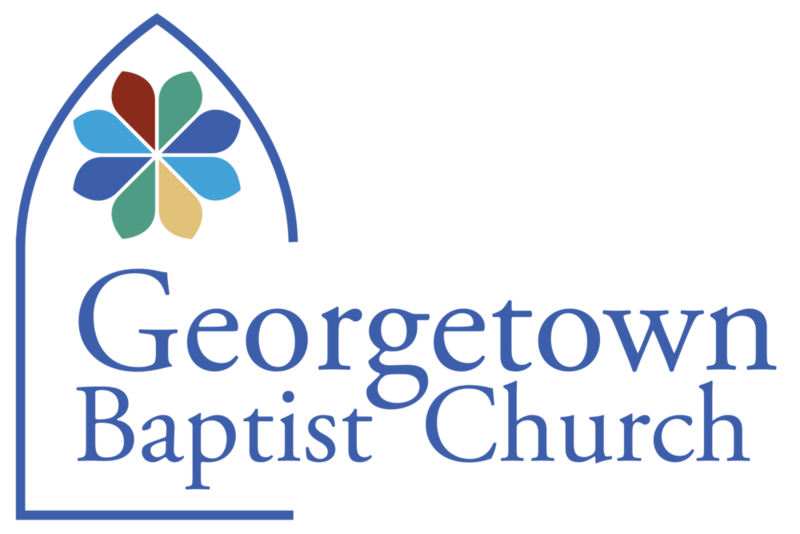 This Sunday, August 26, is Worship Local Sunday for our neighbors at Georgetown College! Please plan to join the College Ministry Team in welcoming all college students for worship and stay for lunch following the 11am service! There will be Red State BBQ, lots of tasty sides and desserts!! We want the students to have the opportunity to meet you all! Ages 4 - completed 5th grade. open every night this week!